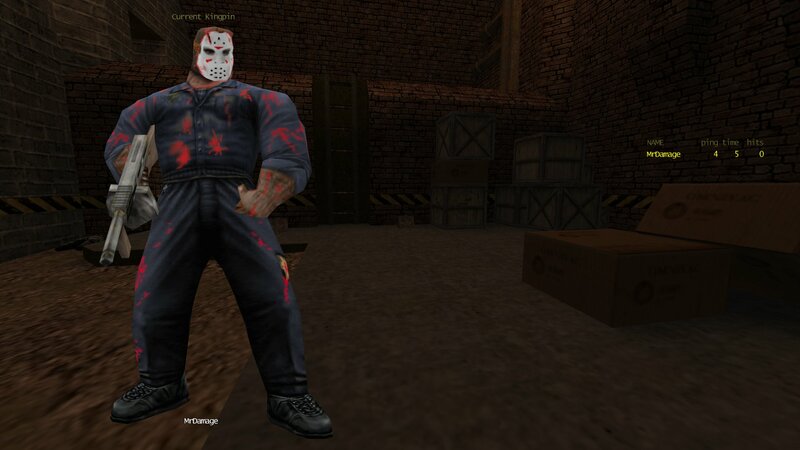 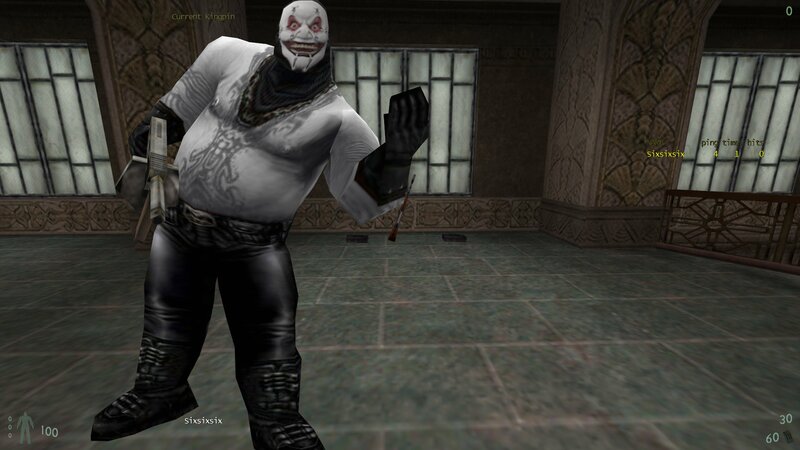 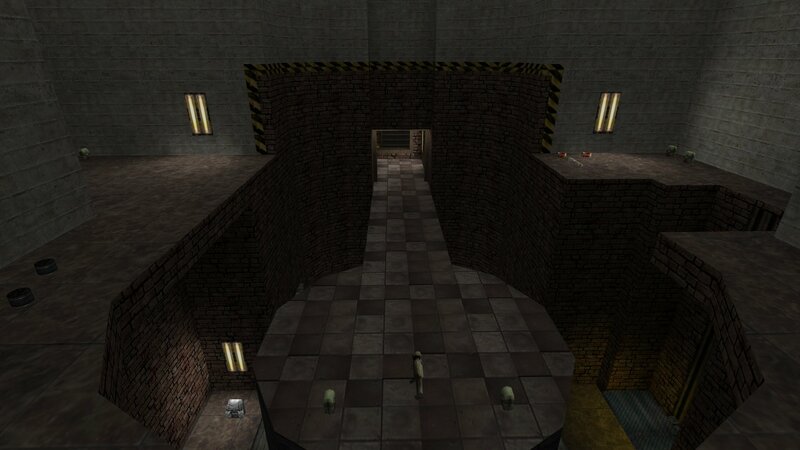 Bagman Arena Gate is a Bagman version of the Q3DM1 map that Hypov8 converted to Kingpin. 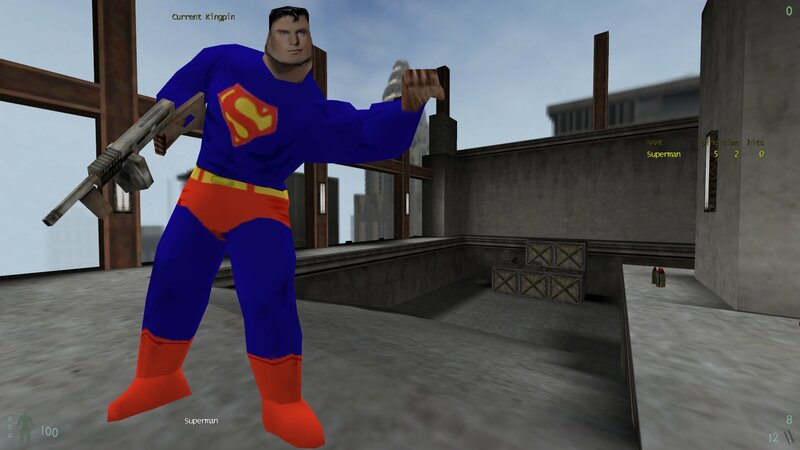 He also did the Bagman version. 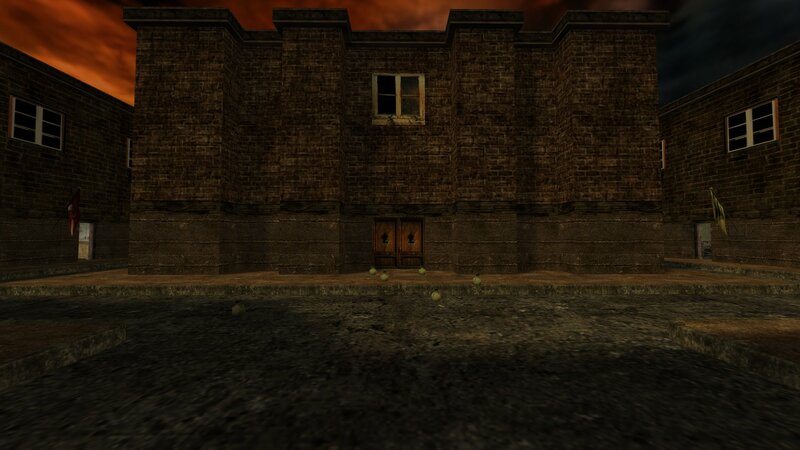 Bagman Arena Gate is a smallish Bagman map. 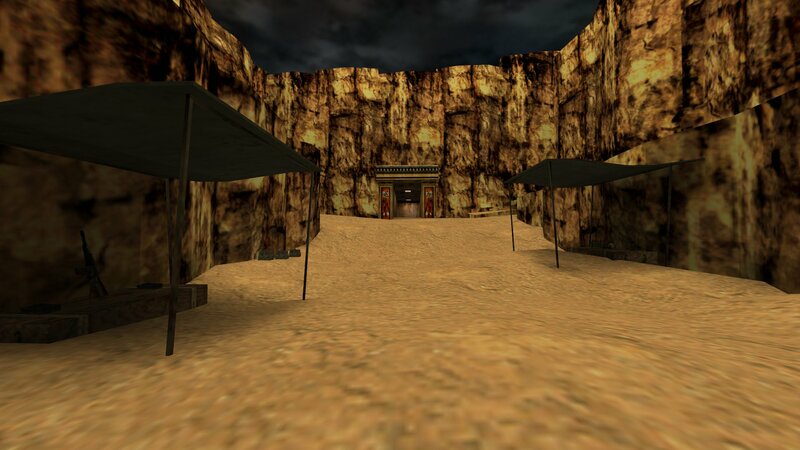 Two bases (with the big mouths at the bag where the safe bags are) and one open area, with Quake3 character statues, between them. 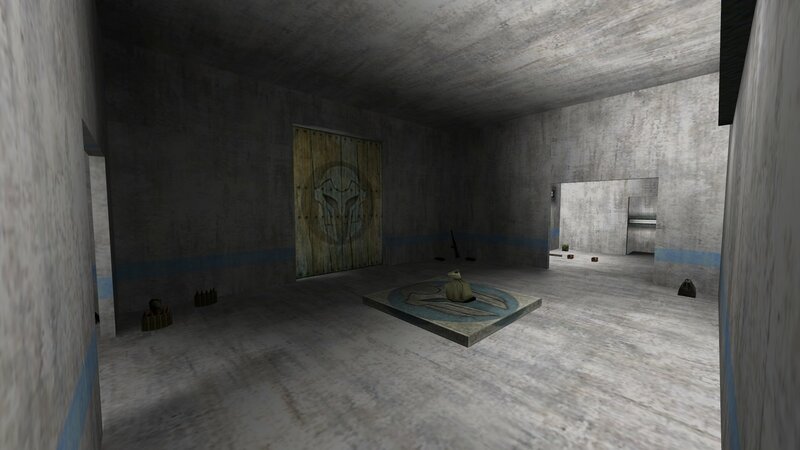 The two bases have the HMG's but most of the other weapons and armour is in the central area. 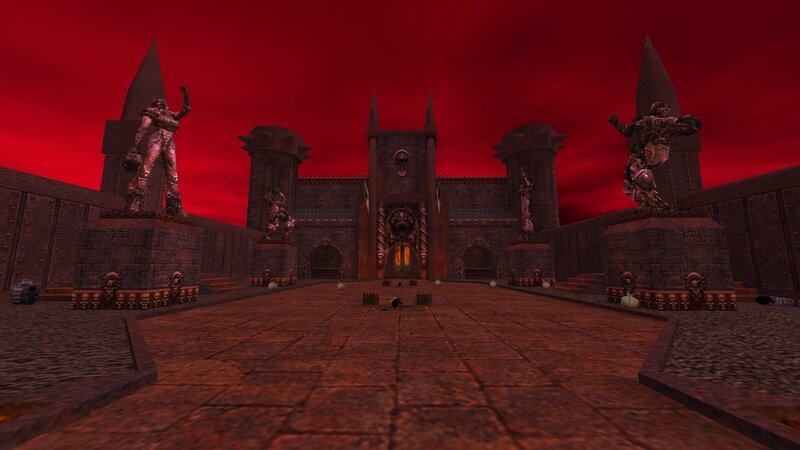 You can download Bagman Arena Gate from here. 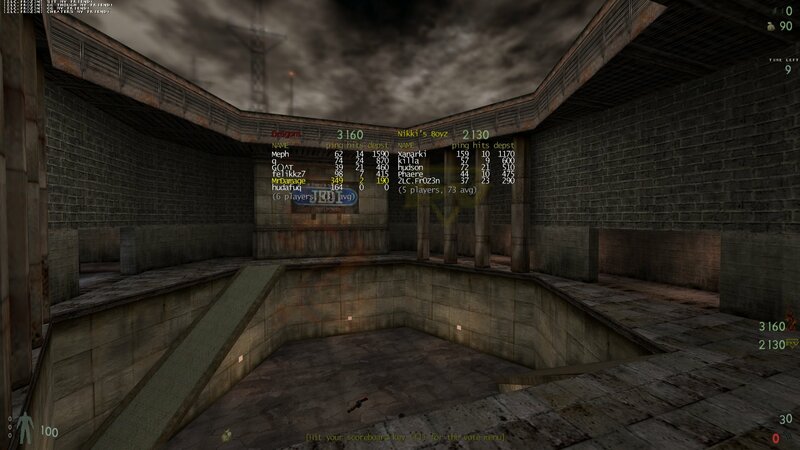 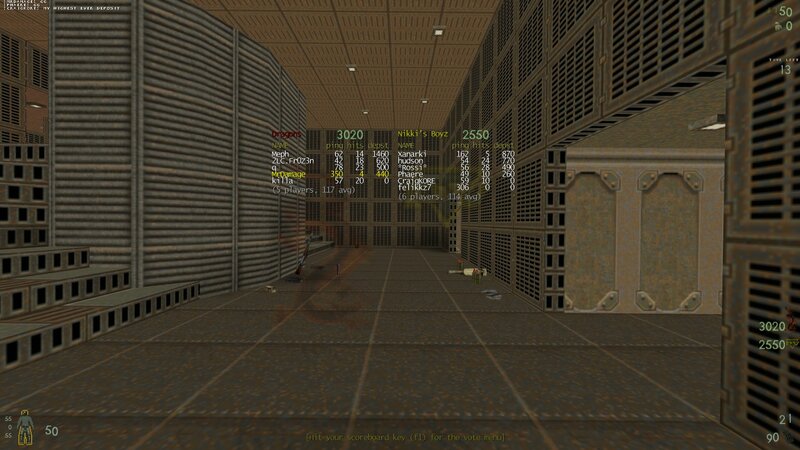 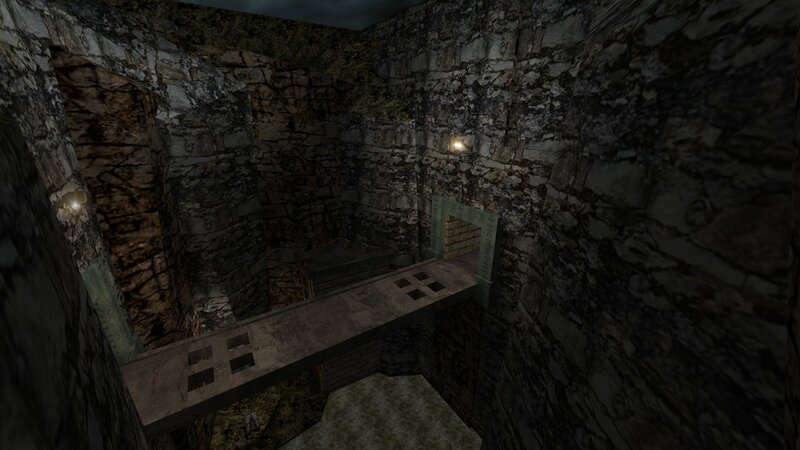 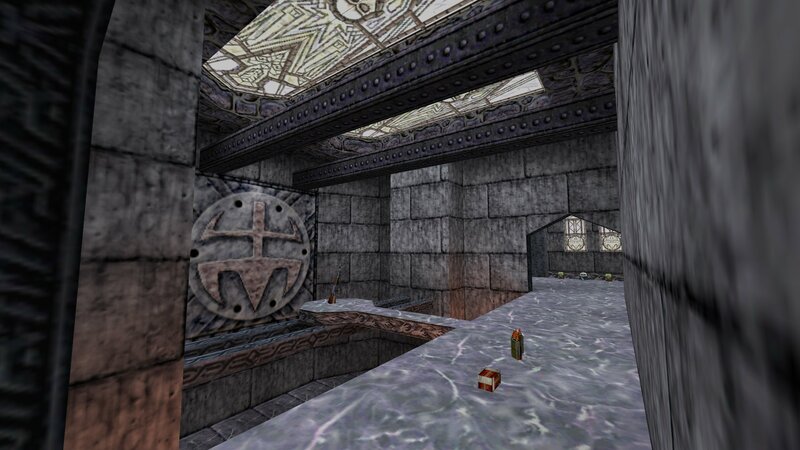 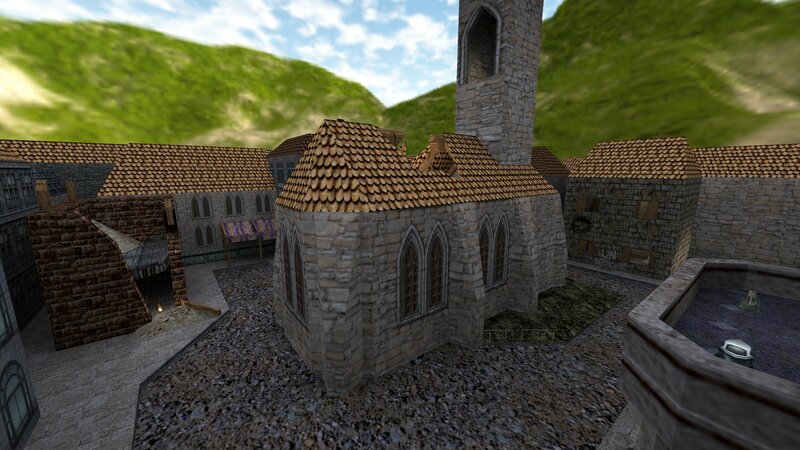 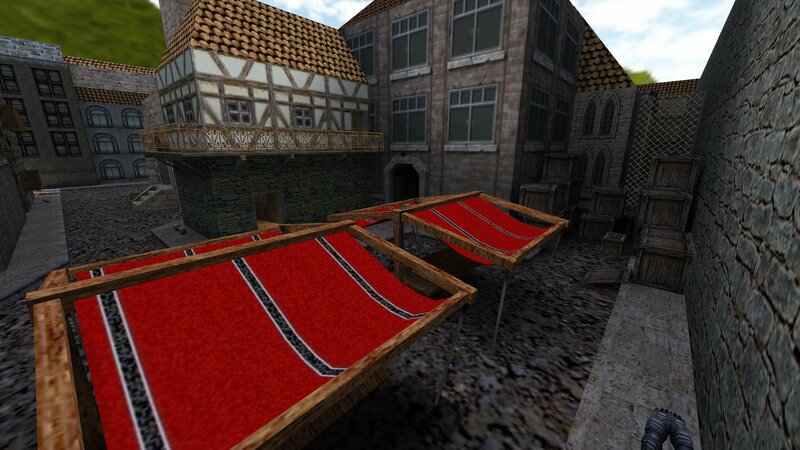 This is a conversion of the classic Quake 2 deathmatch map The Pits (Q2DM5) by Pigwhistler. 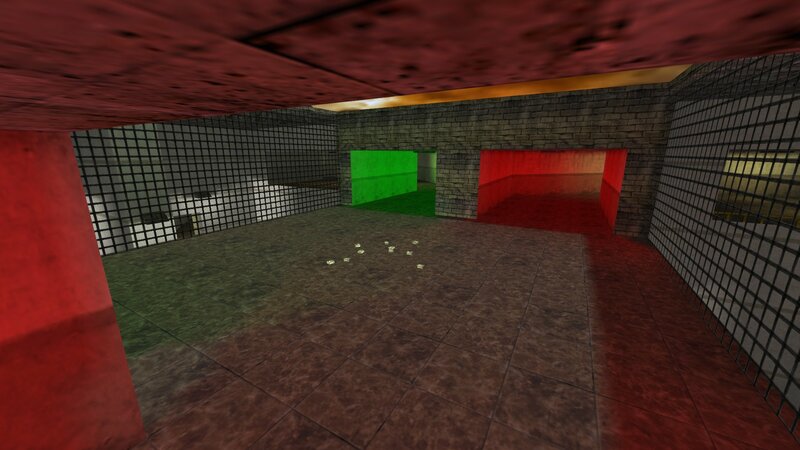 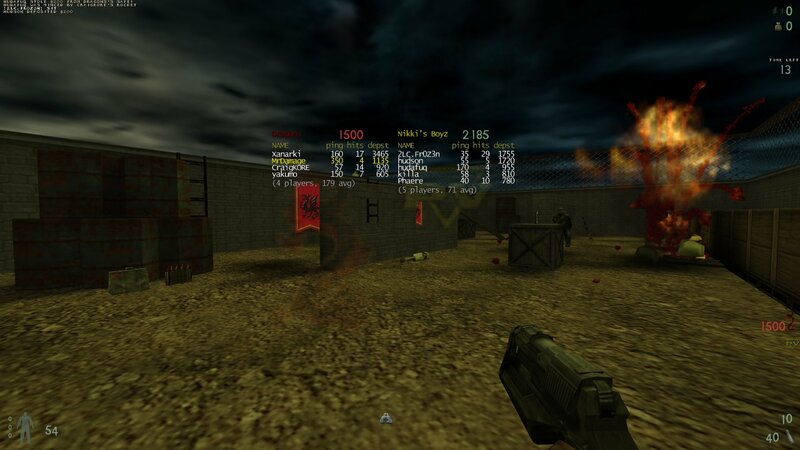 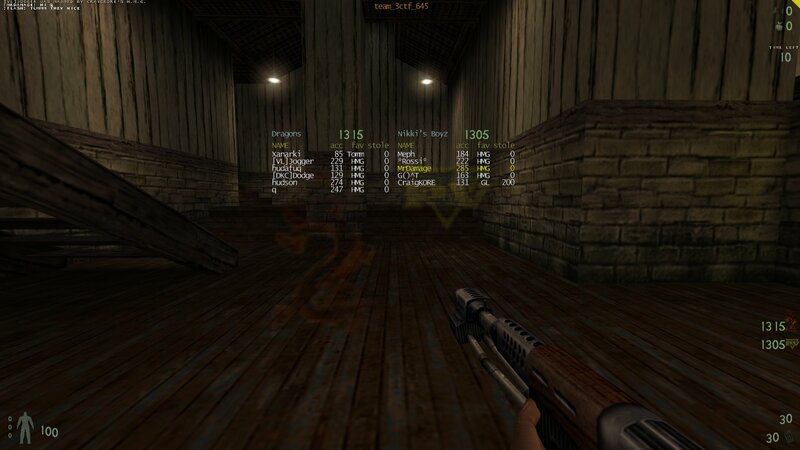 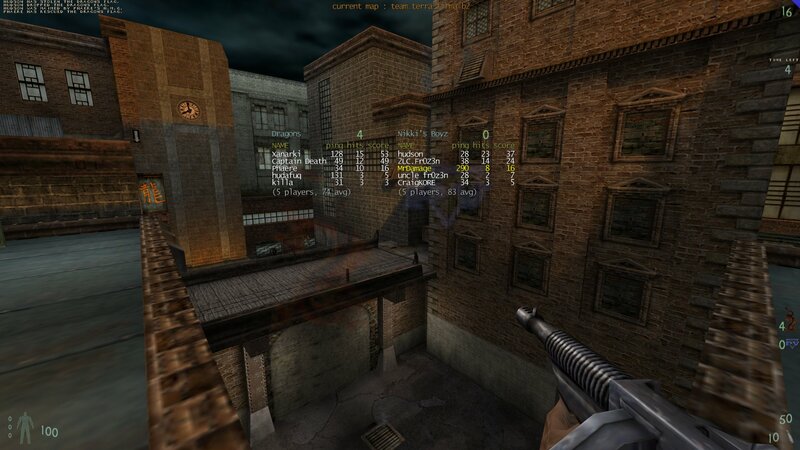 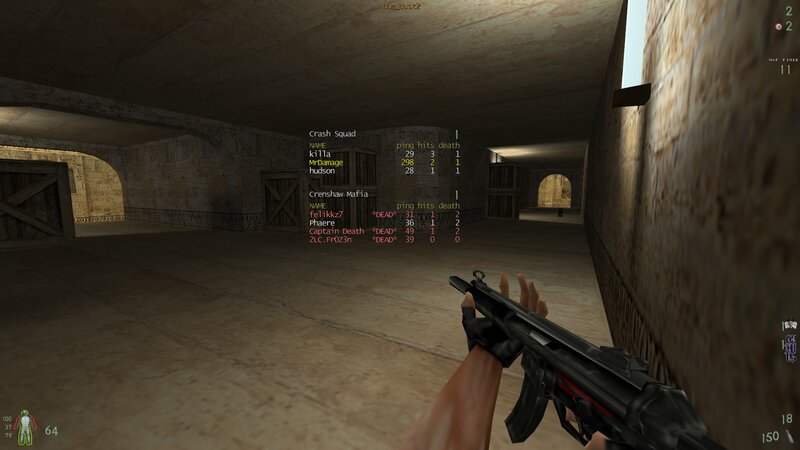 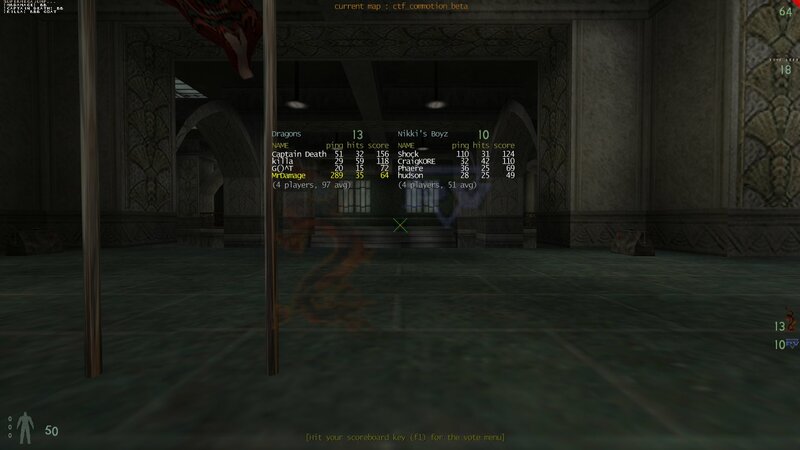 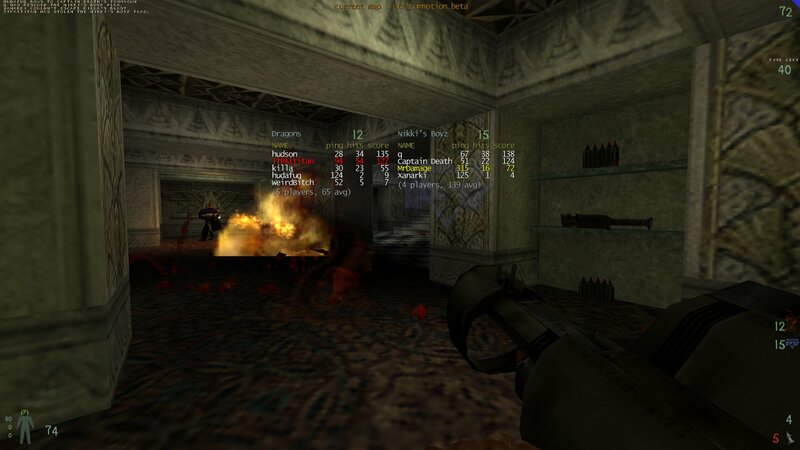 The Pits was the fifth deathmatch map of Quake 2. 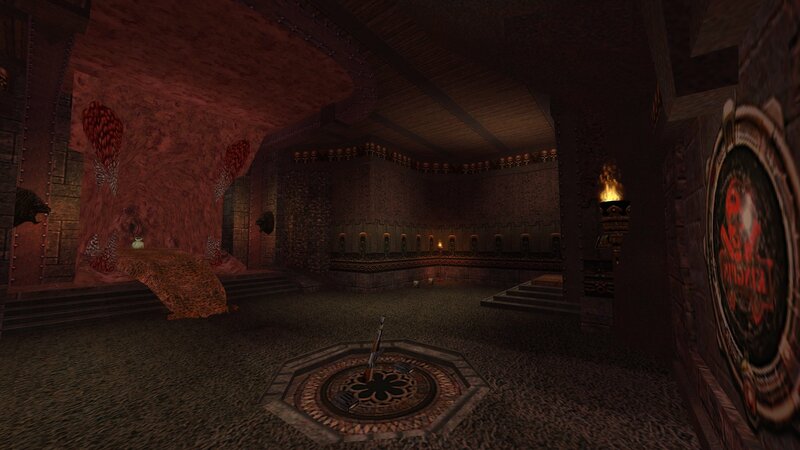 The map, as its name suggests, consists mostly of pits, which offer many opportunities for utilizing high ground. 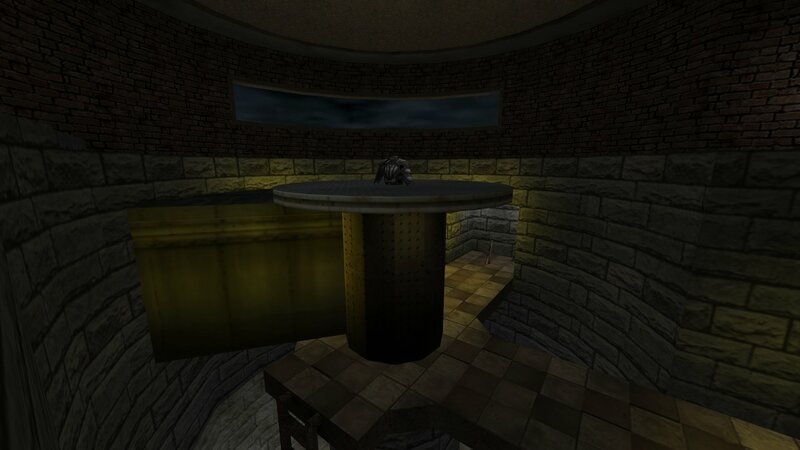 You an download The Atrophy Pits (kpq2dm5c.bsp) from here. 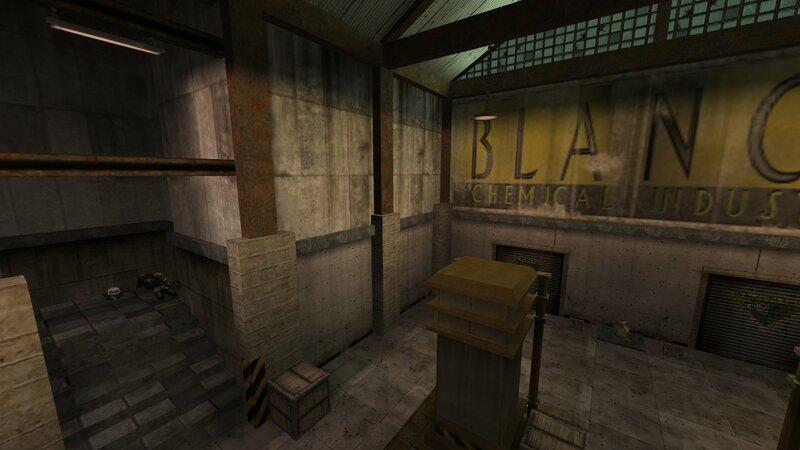 Here is an older Bagman map made by Jaxon called Team Campa La Vista Beta1. 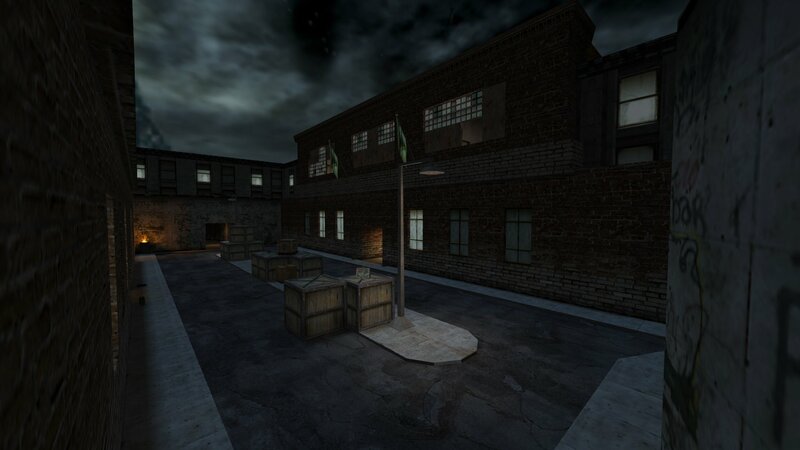 It's a medium sized Bagman map with an interesting layout. 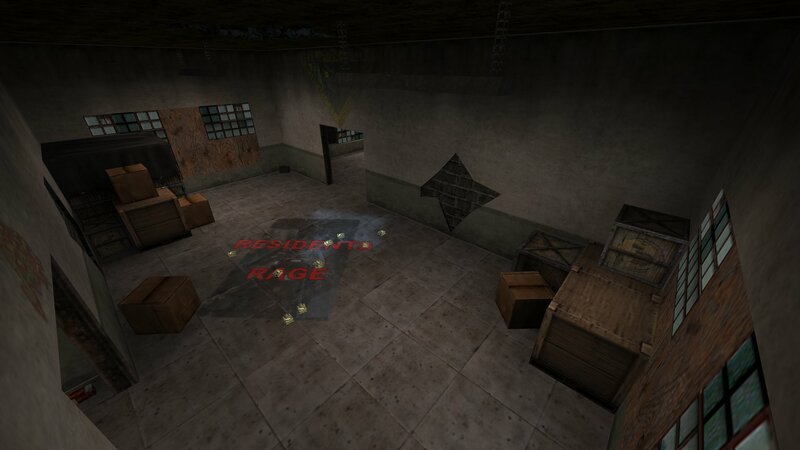 The team bases are back to back (separated by a wall of course) and the money drop area is basically above them. 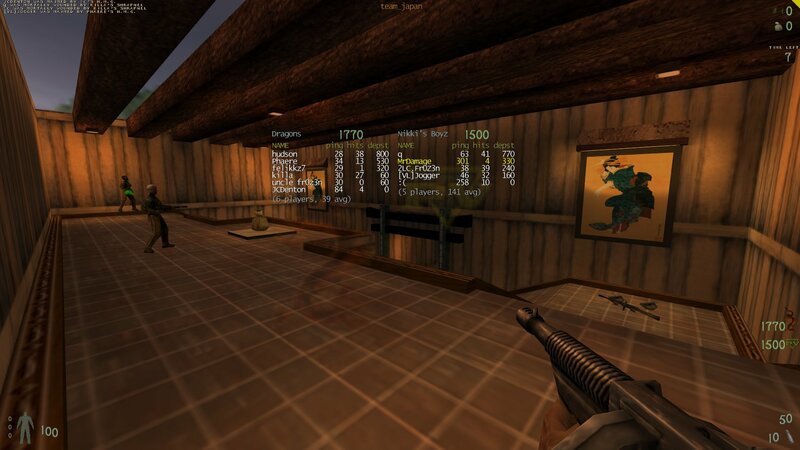 You can download Team Campa La Vista Beta1 from here. 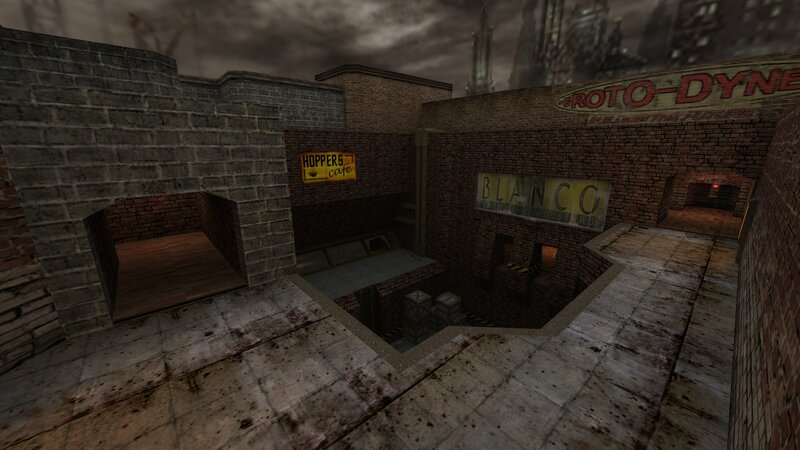 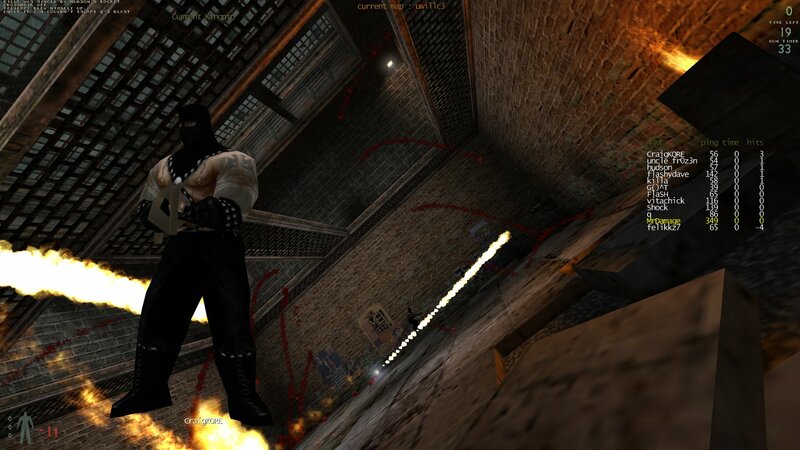 Back in 2001 Cujo converted the Dogpound map from Half-life to Kingpin. 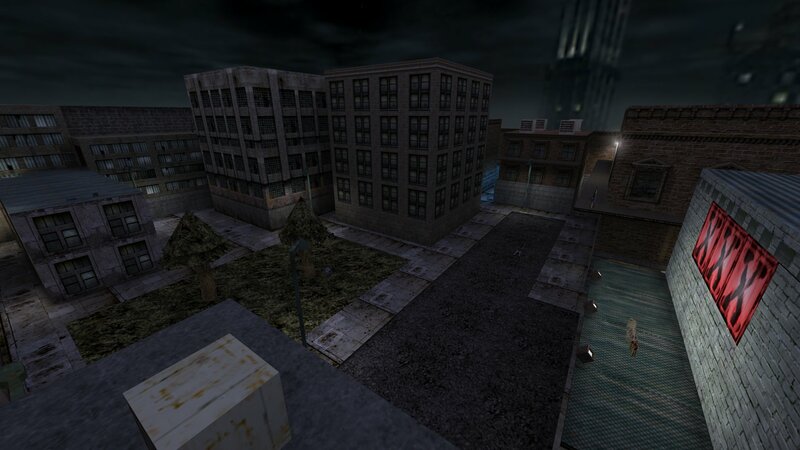 A few years later I updated the map in an urban style and named it Dogpound (ver2). 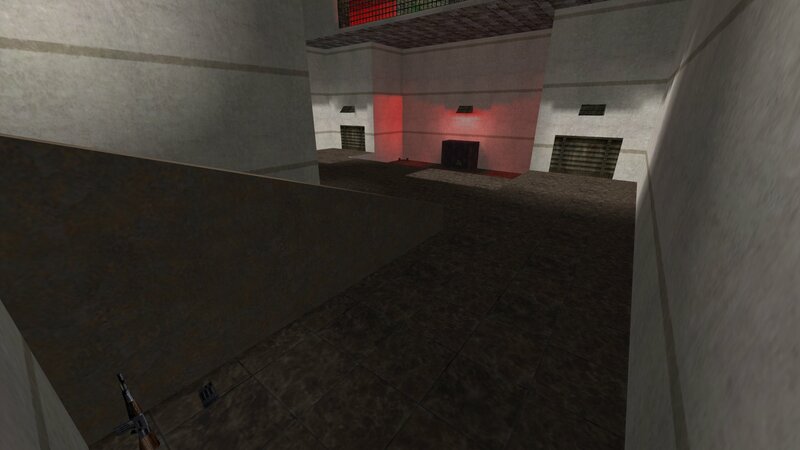 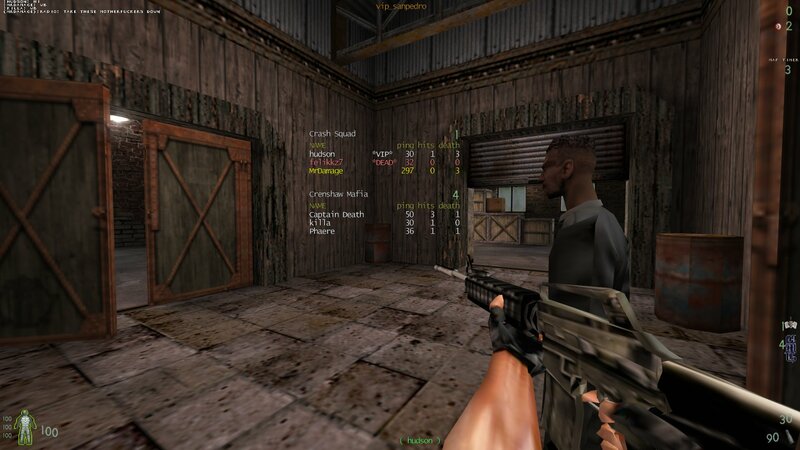 The Dogpound (ver2) map is a three levelled arena style map. 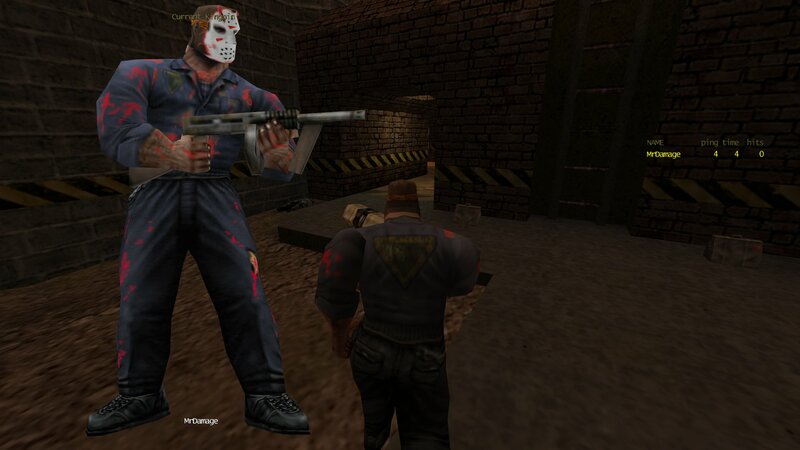 I made it so the shotty and tommy are on the ground floor with half armour, the middle level has the same weapons and the GL as well but no armour and the top floor has the HMG, RL and full armour. 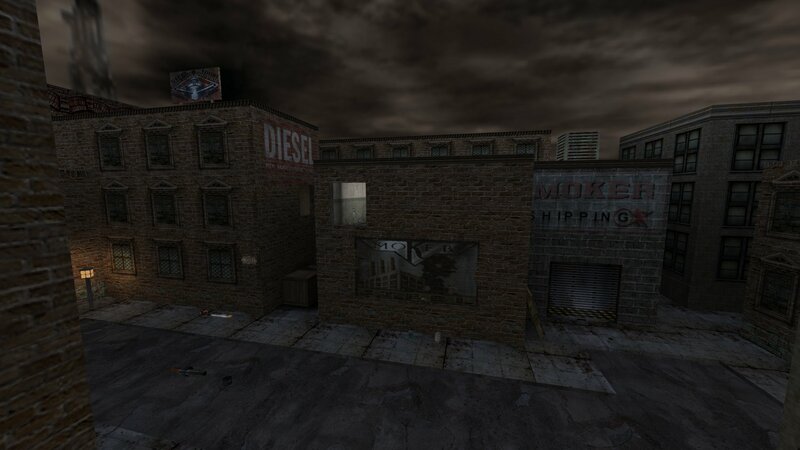 You can download Dogpound (ver2) from here. 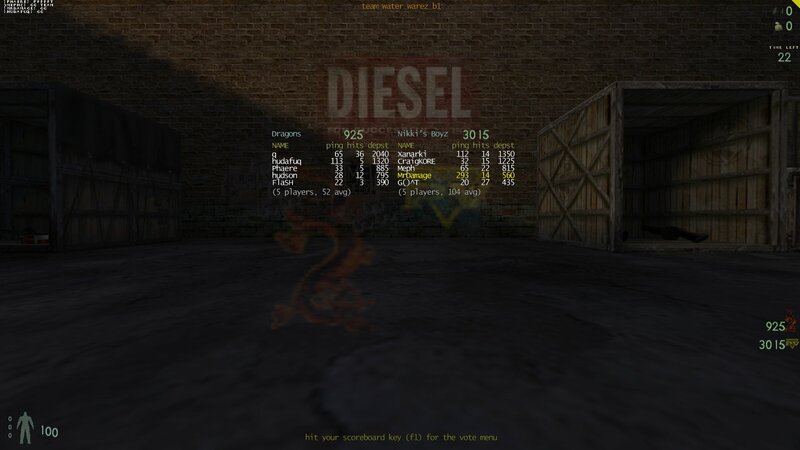 The game this Thursday will be Death Match. 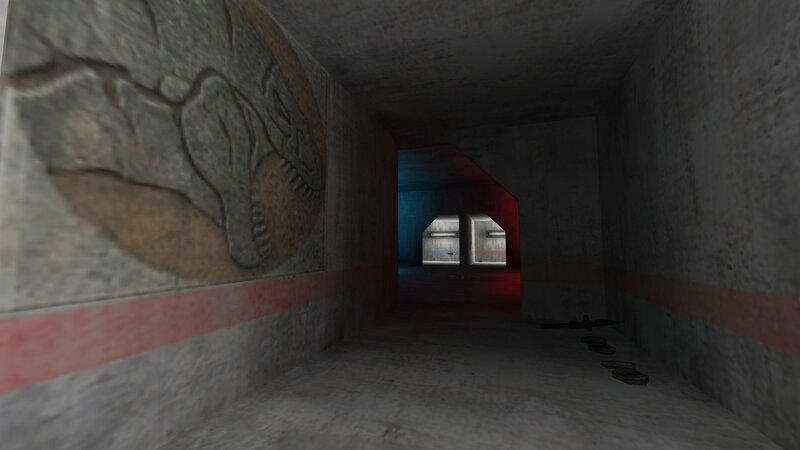 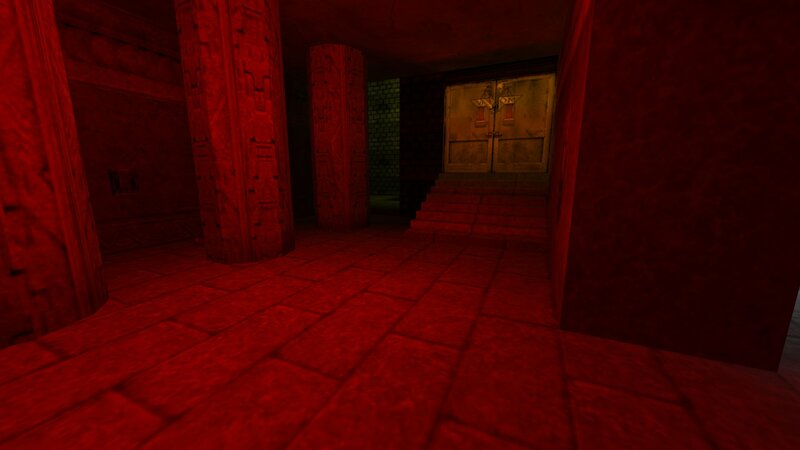 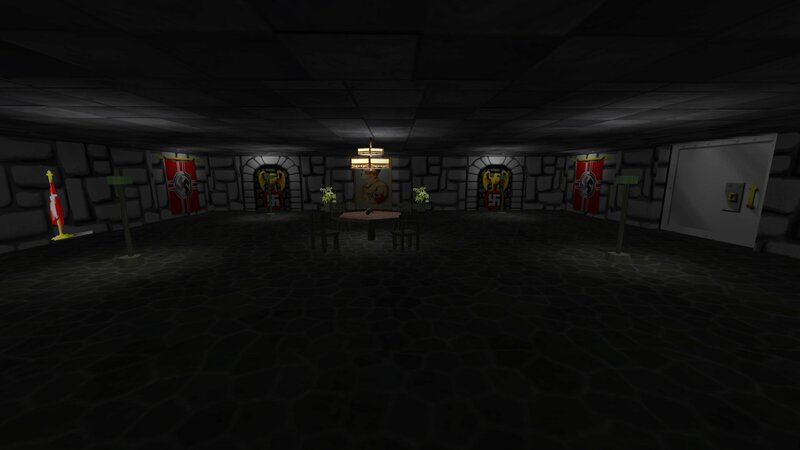 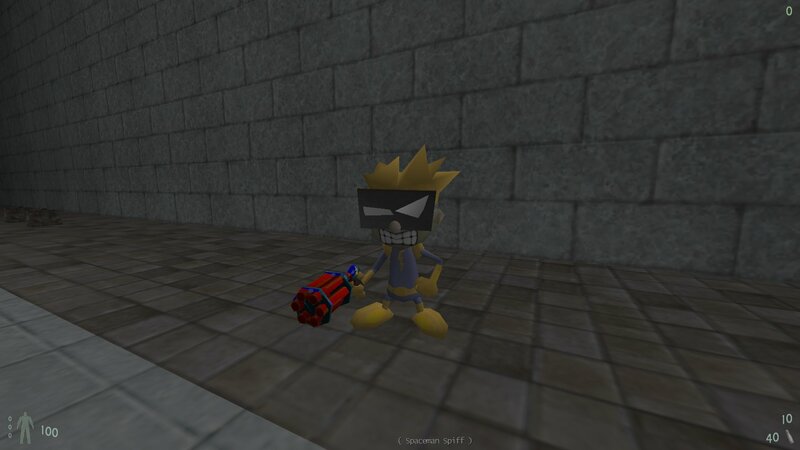 This is a conversion of the classic Quake 2 deathmatch map Lost Hallways by Pigwhistler. 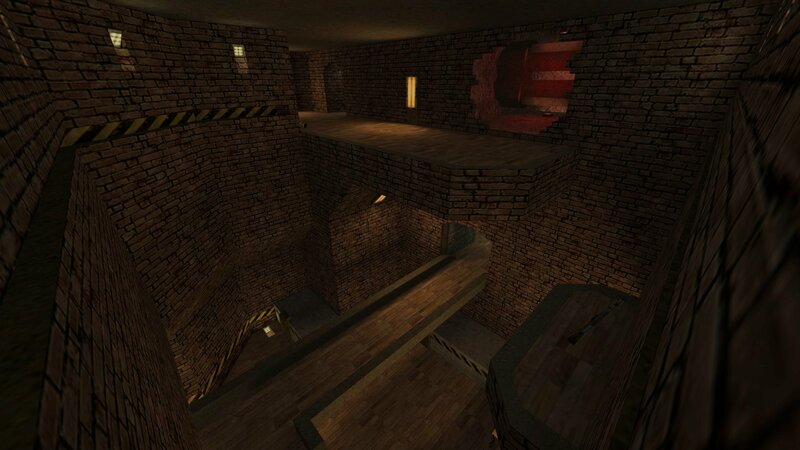 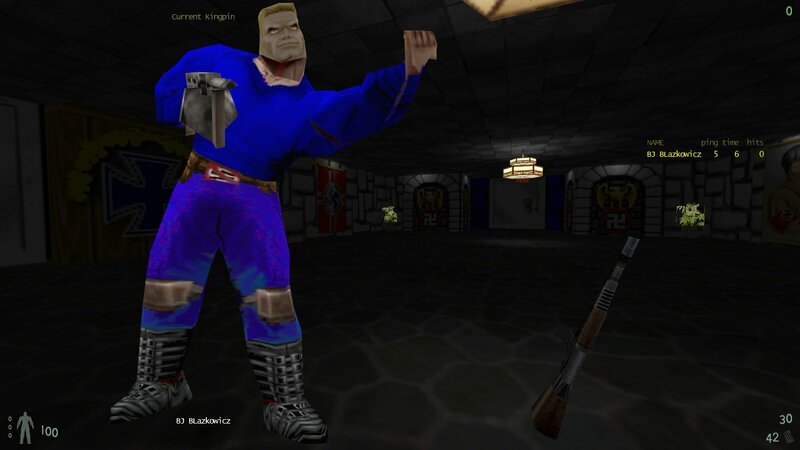 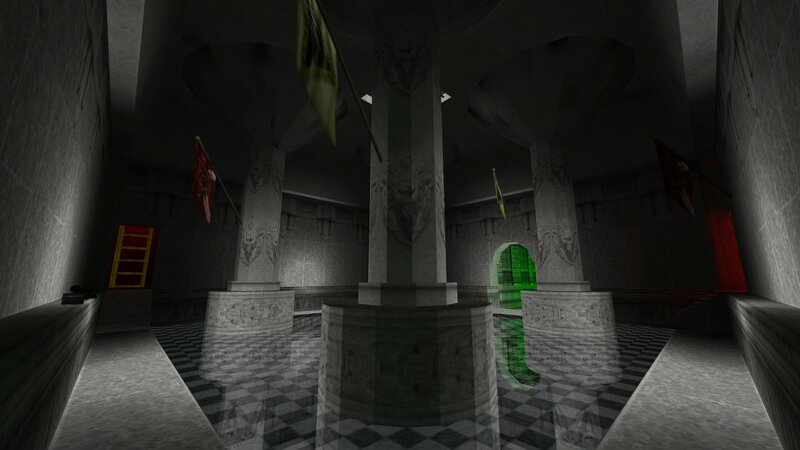 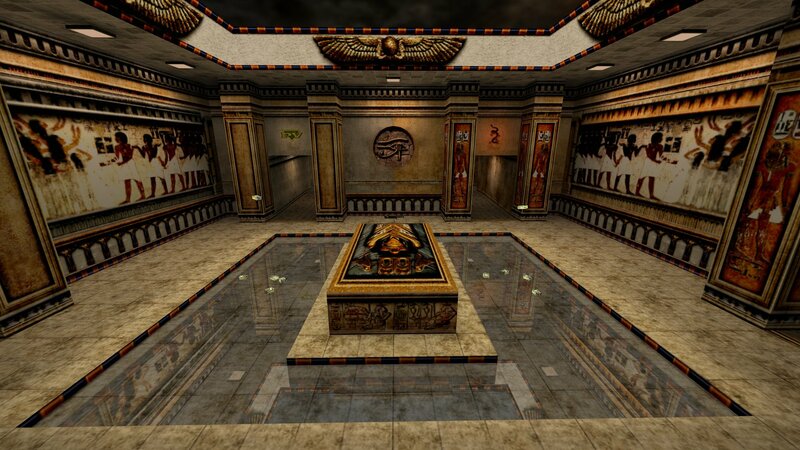 Lost Hallways was the fourth death match map of Quake 2. 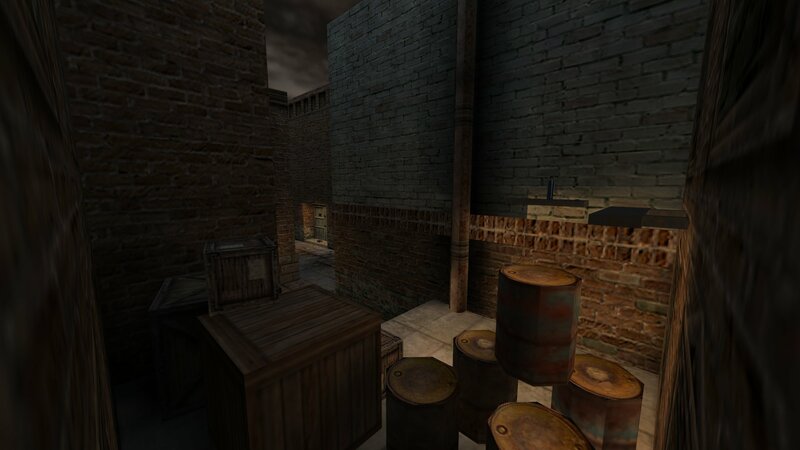 The map takes place mostly within claustrophobic narrow passageways, through there are a few small outdoor areas as well. 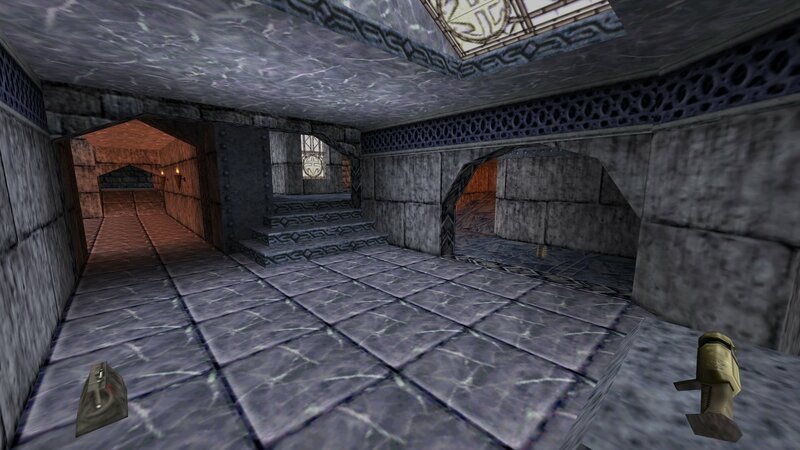 You can download Atrophy's Lost Hallways from here. 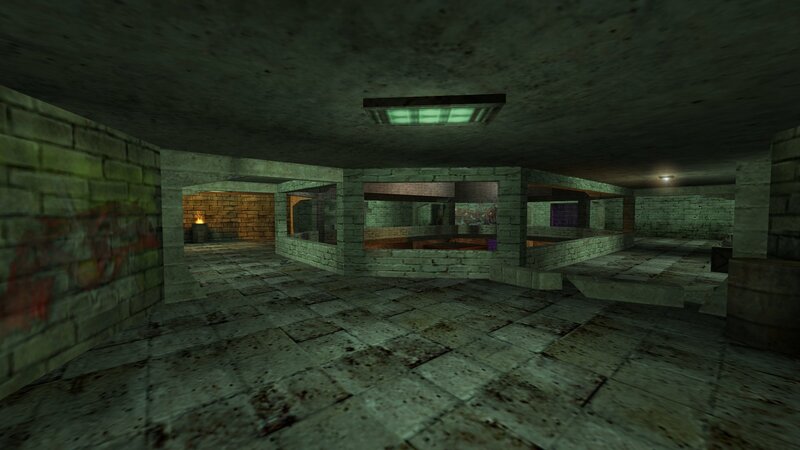 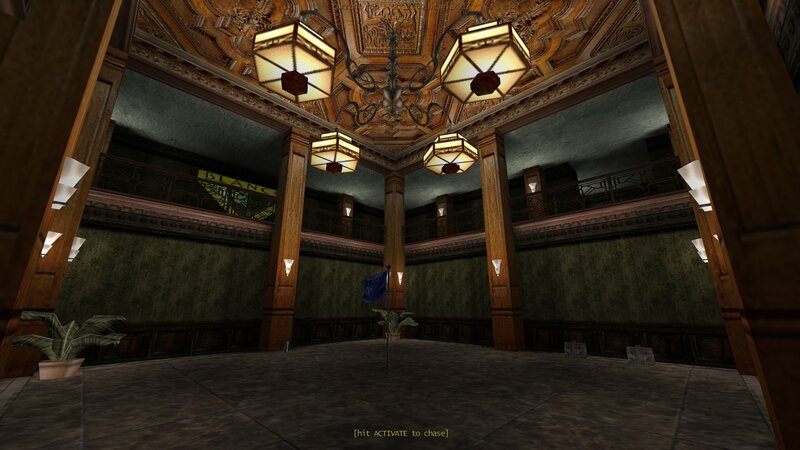 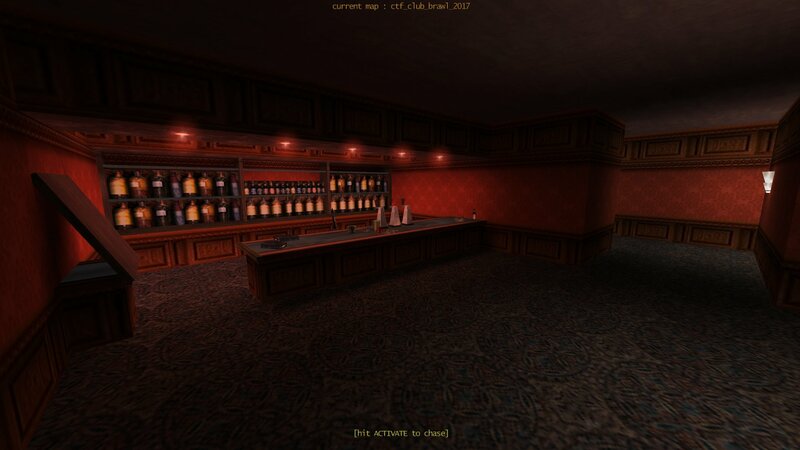 This was originally a map made by Cougar for Action Quake2 and converted to Kingpin by me. 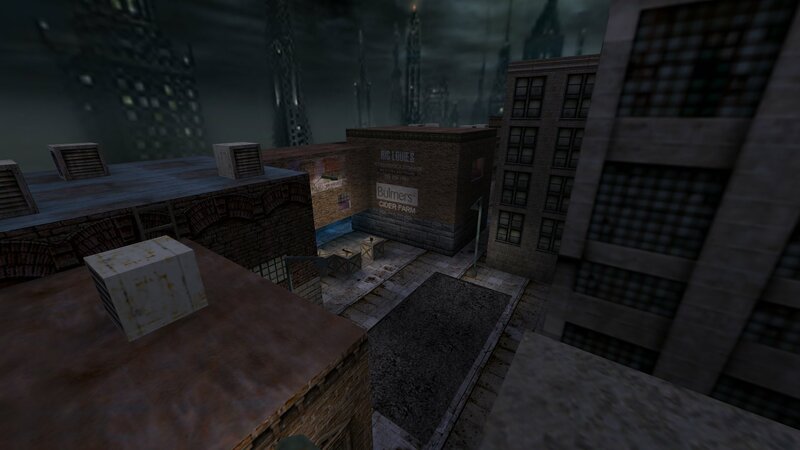 You can download Downtown from here. 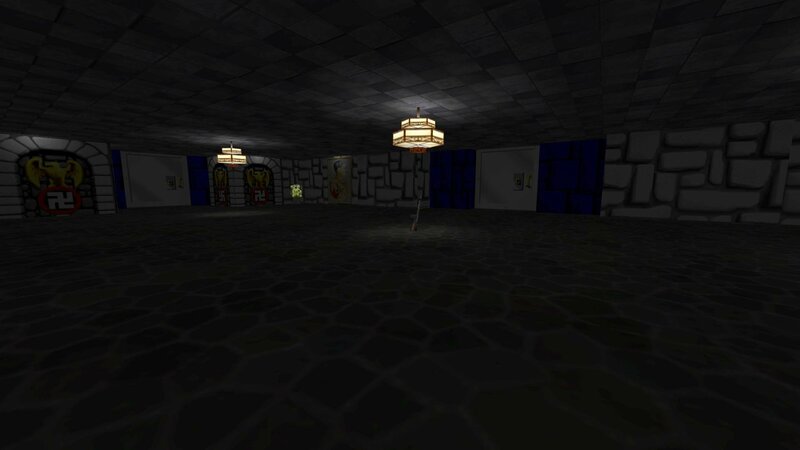 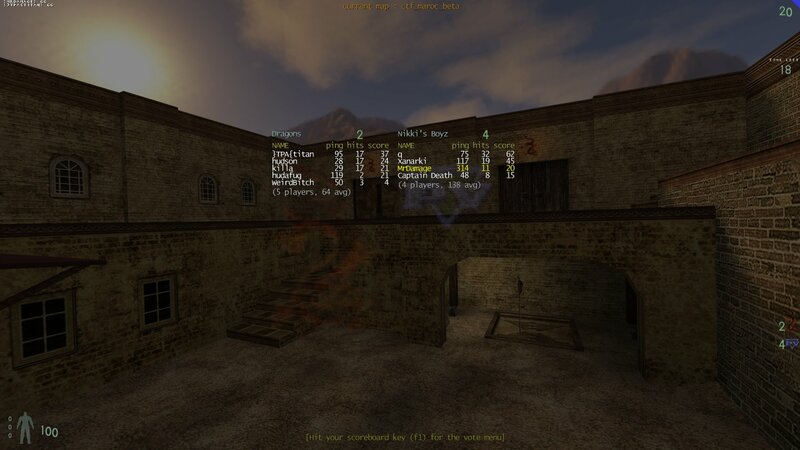 Light... is a medium sized death match map set in a castle. 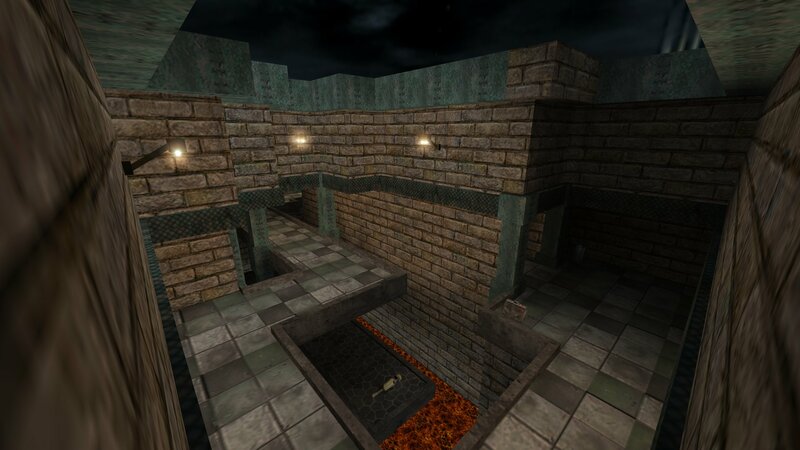 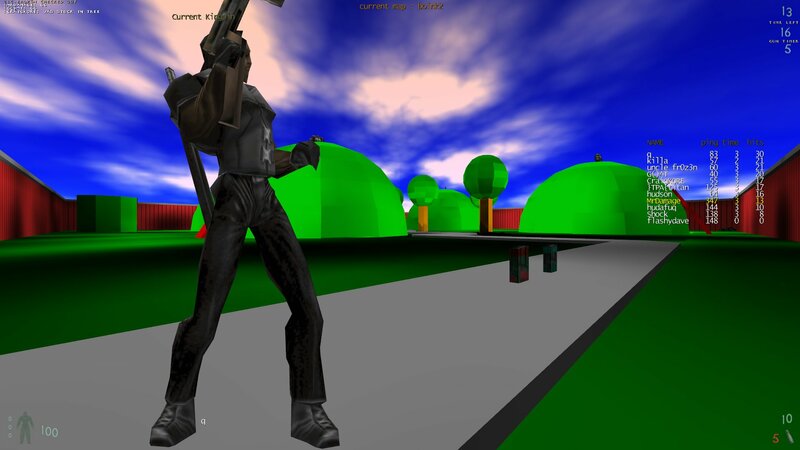 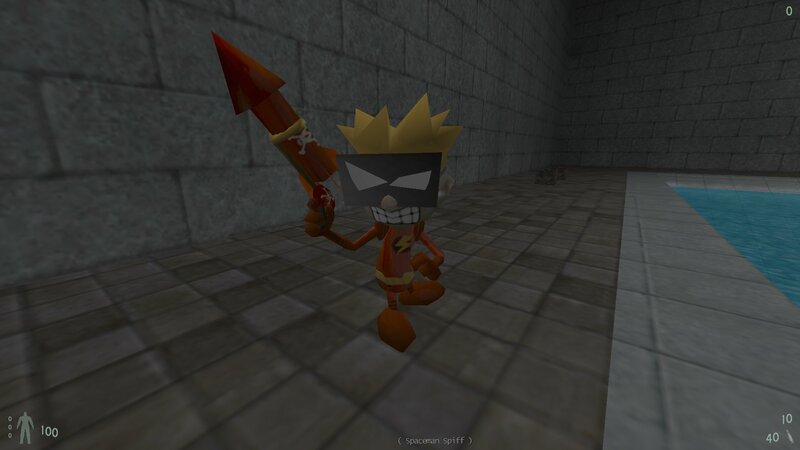 It is a conversion of a classic Heretic 2 level. 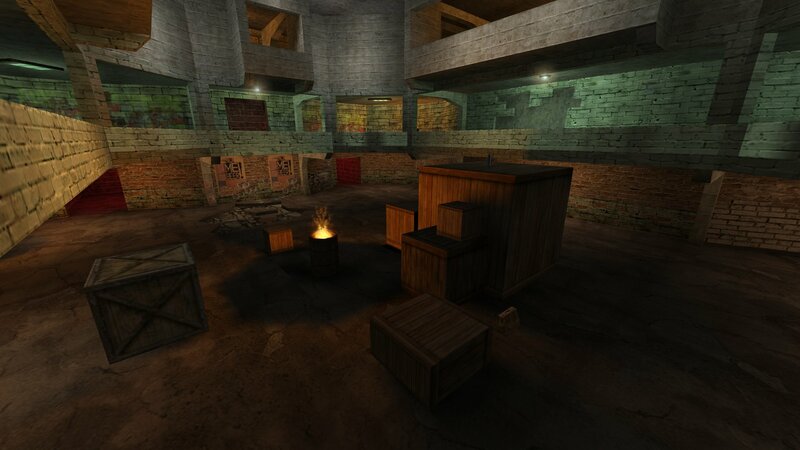 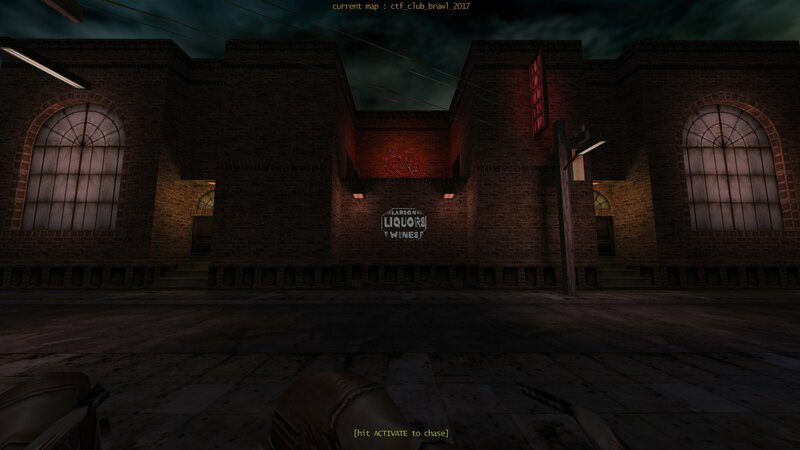 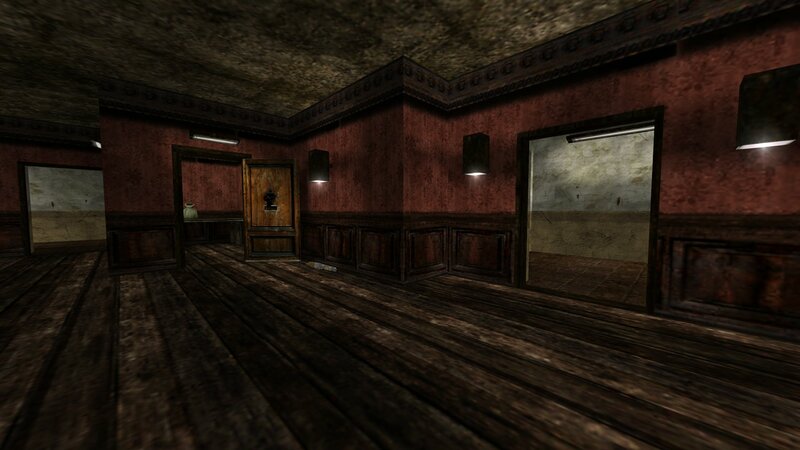 The map uses all the oiginal Heretic 2 textures. 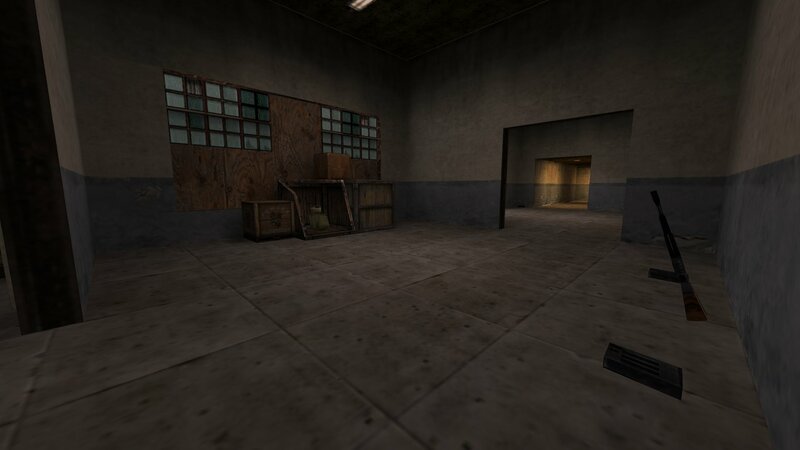 There are plenty of weapons and items and 11 player spawns. 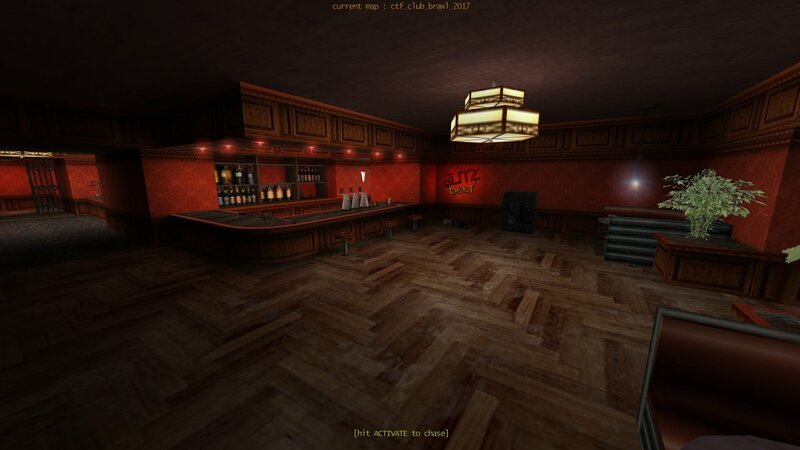 You can download Light... from here.